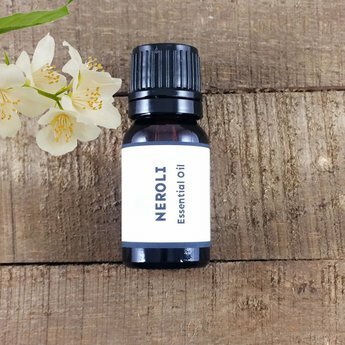 Neroli (Citrus aurantium) essential oil is fresh, sweet and ethereal with a floral undertone. This oil is one of our favorite oils to lift the mood and to calm a grieving heart. It is also a balancing oil that is known to relieve menstrual discomfort. For a relaxing massage oil blend with ylang ylang, rose and vanilla. Mix with a carrier oil and clary sage on abdomen to relive menstrual discomfort. Neroli was named in 1860 after princess of Nerola, Italy who perfumed her gloves, stationary and shawls with the oil. Cautions: Neroli is considered non-toxic and non-irritant.